Love makes the world go round, and what’s better than a hotel, resort or cozy bed and breakfast to kick-off a romance, celebrate an anniversary or special occasion? While there are so many destinations to love, I created a short list of romantic hotels in the United States from my reviews here at Hotel-Scoop.com. From Maui to New York City, consider the following hotels (in no particular order) for your next romantic vacation or holiday. 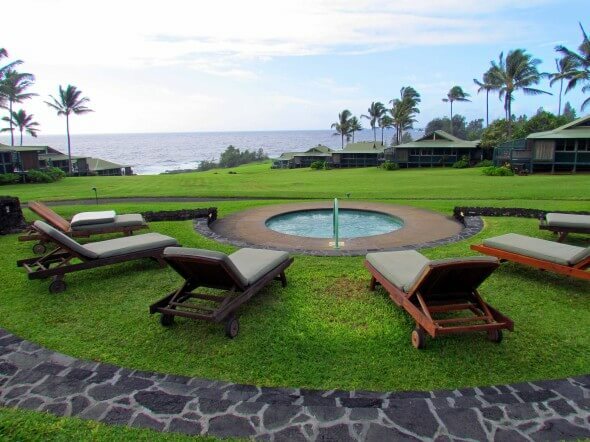 A pool with a View, Travaasa Hana sea cottages in Maui. There’s so many reasons to love the tropical paradise of Maui: quaint towns, artist communities, beaches, culinary experiences, and simply relaxing with your loved one. Maui is a lover’s paradise, and my husband and I celebrated our 10th anniversary in Maui earlier this year with stays at four hotels. 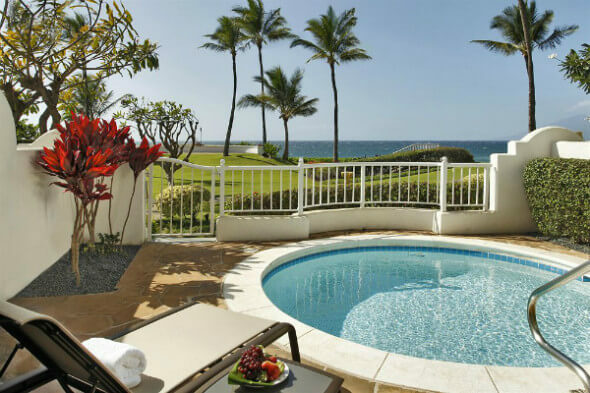 While all Maui hotels were exceptionally, two were particularly romantic for us. After the 42-mile drive on the road to Hana, the Travaasa Hana had us for its secluded location, stay at a sea cottage (without a TV! ), and the balcony overlooking the Pacific Ocean. Located in Wailea, the 22 acre Fairmont Kea Lani Maui won us over with our oceanfront villa, private courtyard with plunge pool, and its over-the-top culinary experience at Nick’s Fishmarket with its 2,000 bottle wine cellar. High-end guest cliffehouses are individual casitas with private terraces and the perfect setting for romance at the Cave B Inn at SageCliffe. After the 2 ½ hour drive from Seattle, we weren’t sure what to expect, but upon entering the grounds, we knew we’d find a romantic retreat. From wine tastings and culinary pairings to a relaxing spa, you’ll find everything you need to re-ignite your romance at this remote estate vineyards boutique hotel, situated 900 feet above the Columbia River in central Washington State. View from the Cave B Inn Cliffehouses, a Washington State estate winery. Sometimes couples travel isn’t all about romance and togetherness. Location and family makes your experience even better, such as at the Hotel Rose, Portland, when we recently met up with our adult daughters and their spouses for a fun getaway. This boutique and kitschy Portland hotel provided a perfect base to explore this Oregon city for the first time. From its craft beer to culinary scene, Portland provided the adventure, while the hotel gave us some alone time at the end of each evening. Since I live in Colorado, road trips are my husband’s and mine favorite romantic getaways. Located about 6 hours from Denver, the historic Strater Hotel exudes romance with its Victorian era décor and Old West location in downtown Durango. My husband’s great aunt once worked at the Strater, so it has a special place in his heart. 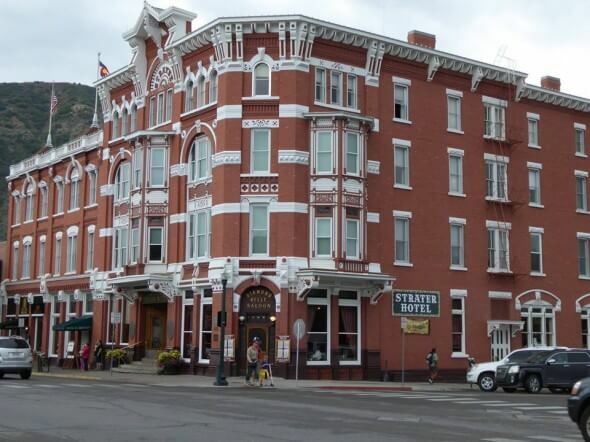 With a backdrop of the San Juan Mountains, your hotel’s front door opens onto the streets of downtown and explore boutique shops, restaurants, or hop on the iconic Durango & Silverton Narrow Gauge Railroad for a train adventure. The signature neon sign of the Historic Taos Inn marked the southwestern hotel for our summer romantic getaway. Another historic landmark, this 19th century adobe compound features intimate accommodations within pods of courtyards providing opportunities to sit outside and enjoy the New Mexico sun. intimate The 2-story lobby features a bar and a fine dining restaurant, and the boutique hotel is close enough to downtown Taos Plaza to explore. The Historic Taos Inn is a series of adobe buildings and courtyards. 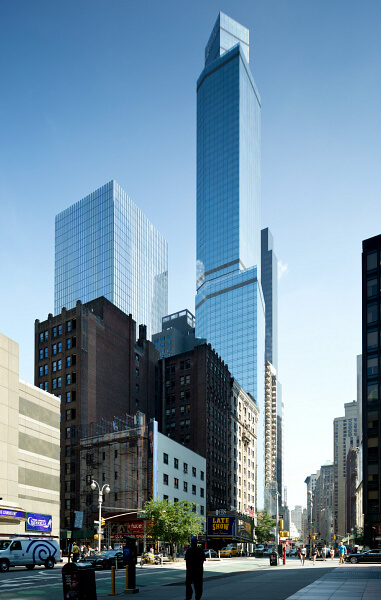 During the polar vortex last year in January, I was invited to New York City for the launch of the New York City’s newest and tallest single-use hotel, the debut of the $320 million Courtyard by Marriott and Residence Inn New York Manhattan/Central Park. Although my husband wasn’t with me, New York City is on our romance bucket list, and this hotel would be the perfect location for a romantic getaway. In the heart of the Big Apple on the northwest corner of 54th Street and Broadway, I’ll be able to introduce my husband to his first New York City vacation, with its access to Central Park and Times Square and to Carnegie Hall, Broadway Theater District, Fifth Avenue, Rockefeller Center, and Radio City Music Hall. The Courtyard by Marriott and Residence Inn New York Manhattan/Central Park is located just 0.28 miles from Madison Square Garden. And there you have romantic hotels in the United States, yet only the tip of the many hotels offering the perfect getaway for you and your significant other. What’s your favorite romantic getaway?